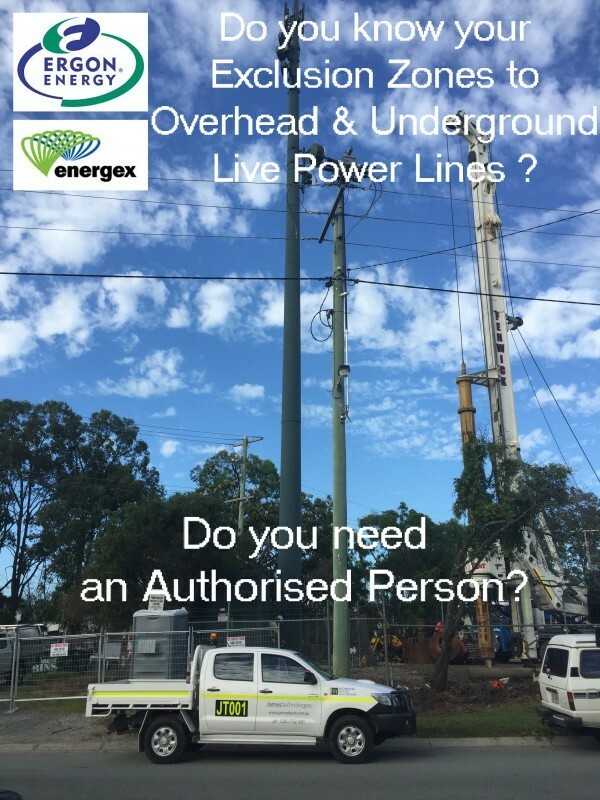 Jamestech can assist with supplying an Authorised person to assist and advise you in safe management of your task around Ergon and Energex assets. Authorised Jamestech employees have all completed relevant training and have an appropriate level of technical knowledge and experience to operate specialised equipment and vehicles. • Identifying low voltage and high voltage electric lines (including ways of ascertaining the voltage present). • Distinguishing between insulated and uninsulated electric lines. • Understanding the possible causes and risks of electric lines being damaged. • Demonstrating the skills and knowledge necessary to implement a safe system of work. • Demonstrating familiarity with the unsafe distances and exclusion zone requirements. • Applying emergency procedures in the event of an incident. • Monitor the ongoing competency and identification of persons authorised to work near electric lines, while complying with the requirements of the Electrical Safety Code of Practice 2010 for Working Near Overhead and Underground Electrical Lines and Electrical Safety Code of Practice 2013 for Managing Electrical Risks in the Workplace. • Remove and replace LV service fuse/s both at the pillar and pole top for the isolation of a customer’s installation.